Planning a trip to Taipei? Ask someone who’s been there and you’ll probably hear some of these: (1) The food is great! (2) You’ll love the food! (3) The food is great, you’ll love it! Get the idea yet? But more than the food, which surely is not overrated, there’s a whole lot more to love about Taiwan. I’ve been to the country twice, and oddly enough, exactly on the same dates – February 10 to 15 of 2016 and 2017. No, it wasn’t exactly intentional, so I took that as a sign from up above 😉 Char! This is where the yearly lantern festival happens. Apart from the actual event, you can purchase your own lantern to write your wishes on then send it off to the sky. You may also opt to use bamboo sticks to write your hopes and wishes on, and then make it part of the picturesque view of this charming old street. A gem in the eye of marvelous rock formation overlooking a serene beach. This is where Cherry Blossoms bloom as early as February. First off, the famous Shi Lin Night Market, home to authentic Taiwanese cuisine. Next is Rouhe St. Night Market, a much easier location to go to. You will also be greeted by festive view few steps away from the market. Oven Coffee – a nice little cafe at the Ximending area. I’m a sucker for great coffee, so I wanted to come here since my first trip to Taipei, and I’m glad I finally got the chance on our last day on this year’s leg. Everybody Cafe – this one can be found at the Ximending area too, and it serves yummy brunch and a unique take on pizza. This is like the famous Myeong-dong of Seoul, where you can find lots of random things to shop for, from make-up, shoes and clothing, cute souvenirs and even savory streetfood! 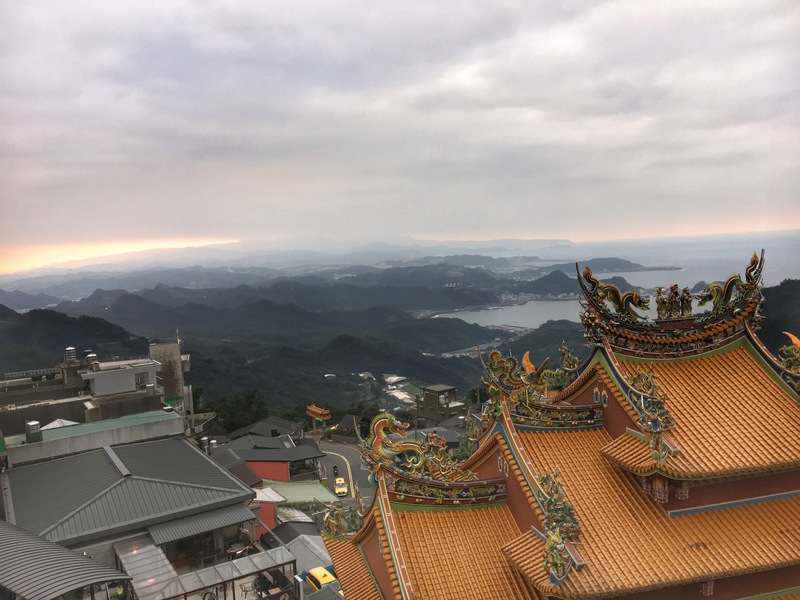 A charming little old village outside of Taipei, where you can buy tons of good finds like souvenirs, Taiwanese delicacies and a whole lot more. Some may tell you that it’s challenging to go here, but though it’s more comfortable to go by a private car or taxi, it’s actually not that difficult to get here by bus, so don’t believe them if they tell you it takes an hour to get a bus 😉 For more information, check out Guide To Taipei website. Feeling inspired yet? I’d say go hunt down that seat sale and go see (and taste) Taipei! Lovely – we will be there in a few weeks time. Can’t wait! Thanks for visiting this page! I promise you’ll enjoy Taipei 🙂 Try their bitter melon juice at Ximending!